A pre-tied obi belt suitable for using with your kimono or yukata robe. 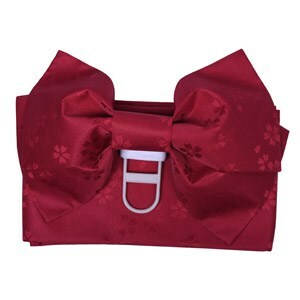 The obi comes in two pieces - a sash and a bow. The sash is tied round the waist, then the bow section is clipped into place on top of the sash and secured with ties. Not washable. Made in Japan.